BY KEVIN SAWYER – It is not that unusual to see churches and organizations offer after school programs. The public schools refuse to stay open to help accommodate parents and children so it is often up to the community to pick up that slack. The Satanic Temple, located in legendary Salem, Massachusetts, is located in the very same Victorian house that held the Salem Witch Trials. 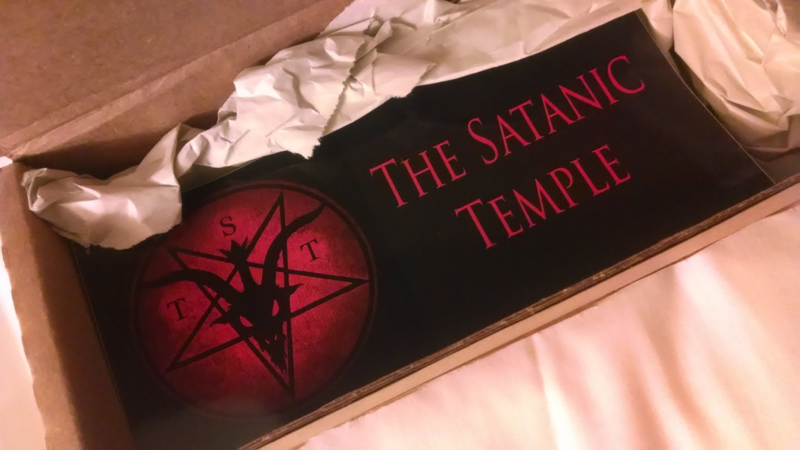 Doug Mesner, one of the founders of the Satanic Temple, believes that all other factions in today’s world, especially Christianity, get to speak with and educate the children. He decided to begin after school programs at the Temple in a effort to try and bring some sense of balance to things. Unlike popular belief, Mesner explains that the Satanic Temple is not dedicated to any character created by various religions that is a demonic figure known as Lucifer or Satan. For them, reality is explained by the religion of science. They see themselves as a direct extension of the religion of science. The Temple stands against any notion of the supernatural, they say, unlike so many other religions who embrace the supernatural like Christianity does. They plan to introduce it’s After School Satan Club to the area’s schools as the new school year prepares to begin. Many additional chapters from around the country including New York, Boston, Utah, Minneapolis as well as Detroit, New Orleans, and Florida have been meeting recently to plan their strategies for expanding afternoon children’s programs in their regions as well. The programs will include an after school snack, literature, creative learning, social skills development, science skills and experiments as well as art and puzzle solving sections. Children must have written permission from parents or guardians to attend the programs and each child will get an official membership card. Donald Trump wishes Ivanka and Chelsea weren't friendsRome is drowning in garbage and rats thanks to the Mafia?